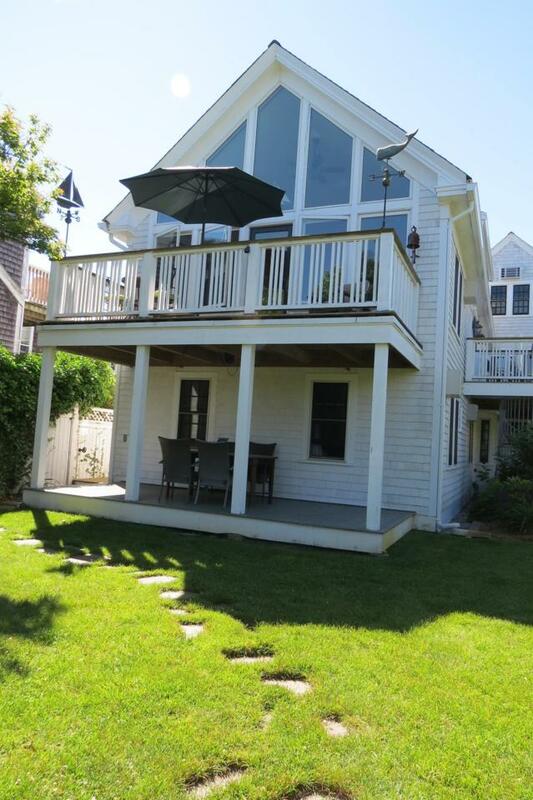 566 Commercial Street Ub, Provincetown, MA 02657 (MLS #21900795) :: Rand Atlantic, Inc. The Windamar, a graceful former Captain's home, has been fully renovated for modern living. This two-story condominium features 16' cathedral ceiling and a north facing wall of custom Marvin windows on the upper level living area which opens to a large mahogany deck. The kitchen has custom black glazed cabinetry with seeded glass doors, creme colored granite, stainless appliances, cabinet depth refrigerator, duel fuel range, & dishwasher. Two master bedroom suites with almond subway tile walls and China gold slate floors in the baths are on the first floor. Custom random width vertical pine wainscoting in the entry & stairway add an arts and crafts flare. An additional covered deck, 2 car parking, laundry, Air Conditioning, & basement storage complete the offering. Perfect Provincetown! Listing provided courtesy of Joe T Demartino of Coldwell Banker Pat Shultz R E.